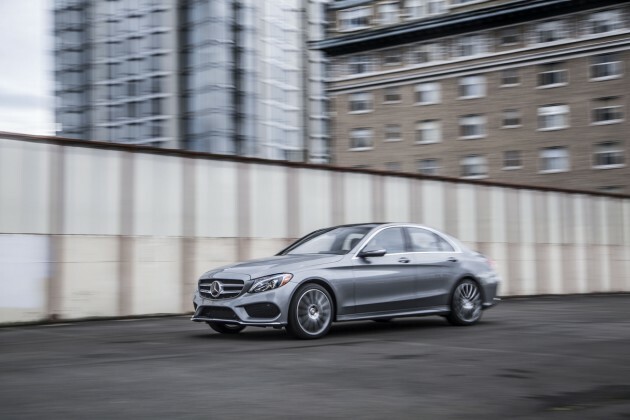 The 2015 C-Class was instrumental in breaking Mercedes-Benz’s January sales record. Automakers all across the board have been on fire as the world recovers from its recession and especially now that gas prices have dipped back down to late 90s/early 2000s prices. That’s been no different for automaker, Mercedes-Benz. In fact, according to the Mercedes-Benz January sales report, the luxury brand broke its January sales record. The Mercedes brand itself moved 24,619 units, which marked an 8.9% increase over January 2014, when the automaker sold 22,604 models. Add to that 1,505 units from Sprinter Vans and another 492 from smart, and the grand total for January came in at 26,616 vehicles here in the United States, marking a 9% increase over last year and giving the company its highest January to date. Specifically, the C-, E-, and M-Class models performed exceptionally well. Mercedes moved 6,236 C-Class units (up 8.5%), 4,336 E-Class units, and 3,144 M-Class units (up 11.3%). Mercedes-Benz Certified Pre-Owned also saw its best January ever with sales totaling 9,456, marking a 13.9% increase over January of last year.